You guys! 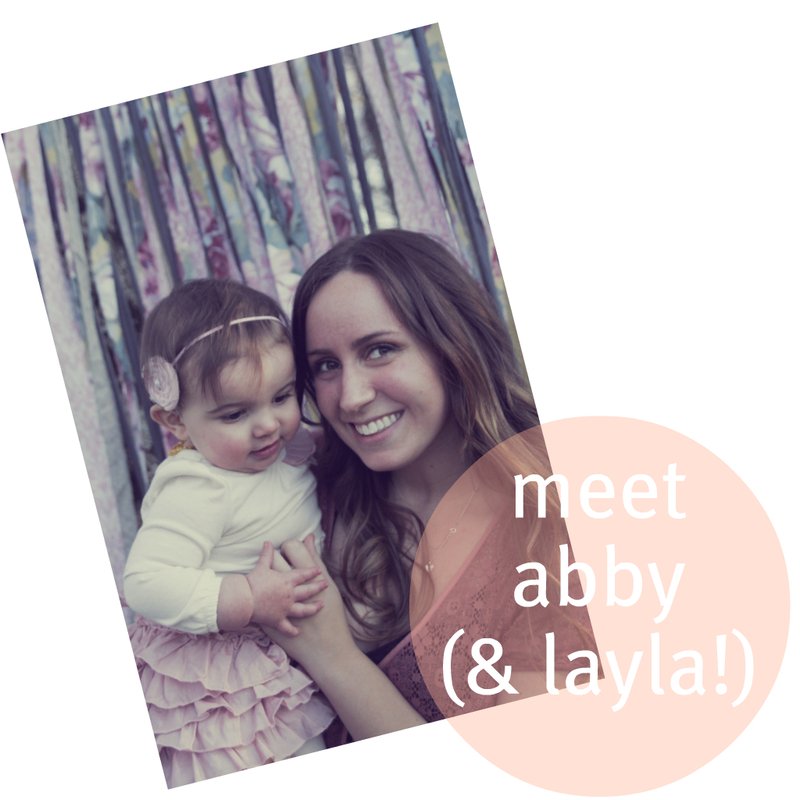 I am so excited to share Abby's shop, Lovelay, with you today. I knew Abby in college and I love seeing what her stylish self comes up with! Also? She has great hair. That's not super important today, but I felt like I should throw that out there. She has done an amazing job of rebranding and honing in on what she's wonderful at - making beautiful headbands and clips that combine together with a bohemian feel. 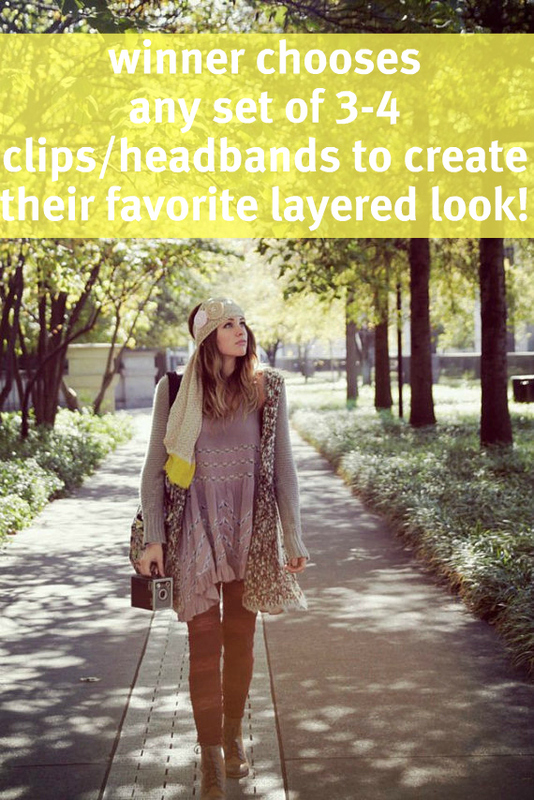 I love dreaming up combinations of her headbands and would wear any of them any day! Here's a little bio from Abby about her shop! On January 31, 2011, my husband and I were blessed with such a darling gift - our daughter, Layla. She has been such a joy and it has been such an honor being her mother. Since day one of her existence, every creative desire has been inspired within me. 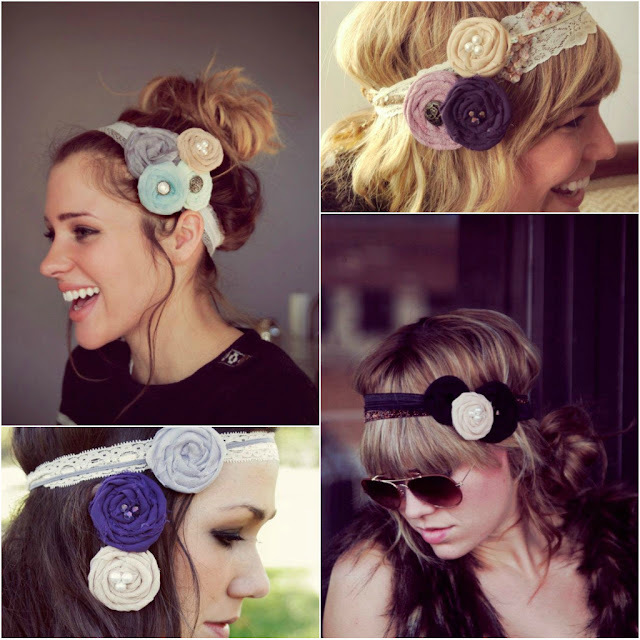 I began a shop (named Designs by Abby Lynn) where I sold many hair accessories identical to what Layla wore. As she grew, so did my products and so did the name (Lovelay). My goal is simply to provide people an opportunity to add a dash of lovely to everyday by wearing one (or many) of my hair accessories. I love Lay and she already loves you, I promise. One great thing about Lovelay is that you can wear just one clip or headband, or you can bundle them and wear them together for a lovely layered look. Today I am offering one lucky winner a set of three or four clips and headbands that you can wear alone or combined. The winner will get to choose from one of the four looks above. Also note that you can use the code JOYLOVE for 10% off her already amazingly priced items. 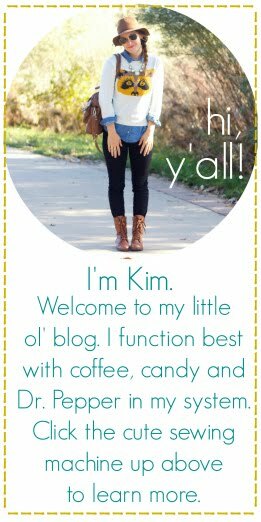 Have fun & make sure you check out more from Abby on her blog. 1. follow the Oh, Sweet Joy! blog via Google Friend Connect or bloglovin' (one entry). 2. Follow me ((@ohsweetjoy)) on twitter. 4. Follow the Lovelay blog via GFC (one entry). I also follow Abby on Twitter. I love her "SILVER - LARGE - HEADBAND (Boutique Chic Chiffon Rosette)"!!!! her stuff is so beautiful!! I like the silver large headband with the chiffon rosettes! Lovin that mint headband... and the set of small floral hair clips! I follow Abby on Twitter now! I love the small champagne headband. I love the eggplant clips! Love the CHAMPAGNE - SMALL - HEADBAND (Boutique Chic Chiffon Rosette)! i follow Abby Saunders via Twitter @MicaStaheli. i follow Lovelay blog via GFC! The silver headband is so pretty - wonderful colours! I follow oh, sweet joy via GFC. eeep!!!! These are so so so cute and I'll probably buy one even if I don't win. :) annnnd thats why giveaways are genius. I would probably pick the silver headband with the champange, mint and blue clips. My dark locks lurrrv light colored headwear. I love the silver headband with the fancy flowers :) such a cute shop! I would choose a medium sized lade headband with purple silver and maybe beige flowers... so many to choose from! Love the pink large headband! Love the pretty mint headband! i already follow youthrough twitter! I visited lovelay's shop...and if i won i would pick the Boutique Chic Chiffon Rosette. That mint headband is so cute and the flower bobby pins would be an easy way to dress up "Everyday hair"
Am so in love with all the pieces I want to wear them ALL! I love the ivory with the boutique chic chiffon rosette!